Yet in the same letter he corrects these "saints" because of sin. They were believers and sanctified in Christ, but some of them were not living right in their daily conduct as is pleasing unto God. These believers had started the process but had not moved on to perfection in Christ. They were forgiven of their sins through redemption from dead works. These sins were forgiven once and for all. We must go on to perfection; that is, spiritual maturity and live the lifestyle that God would have us live. Initial perfection from sin at the time of salvation is the start of a progressive life of sanctification. that raised up Christ from the dead shall also quicken your mortal bodies by His spirit that dwelleth in you. It is only through the Spirit of God that you can overcome the evil desires of the flesh and conform to God's standards. but was in all points tempted like as we are, yet without sin. 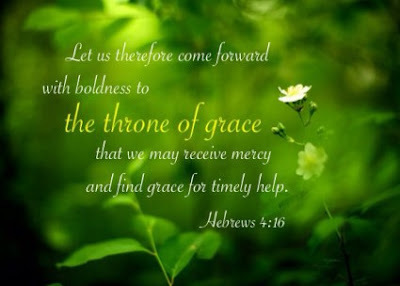 that we may obtain mercy, and find grace to help in time of need. When the flesh results in you doing those things we would not, God has provided a way to restore you to perfection. Make no mistake, the confession of a sin is not a revolving door where by we are repetitive in a sin and think that we are alright just because we continuously confess it. Confessing our sins includes a godly sorrow, an acknowledgement that a sin has been committed before God and that true repentance (a turning away from that sin) has occurred. We go on to perfection through the strength of this power, not human effort. Going on to perfection is not a course in self-improvement nor a self-help program. It is learning to live as the new creature we are through faith in Christ Jesus in accordance to God's word.